Today, Farm Europe presented its report on biofuels in the context of the debates on the “Low-Emission Mobility Strategy” and the upcoming Renewable Energy Directive (RED II). 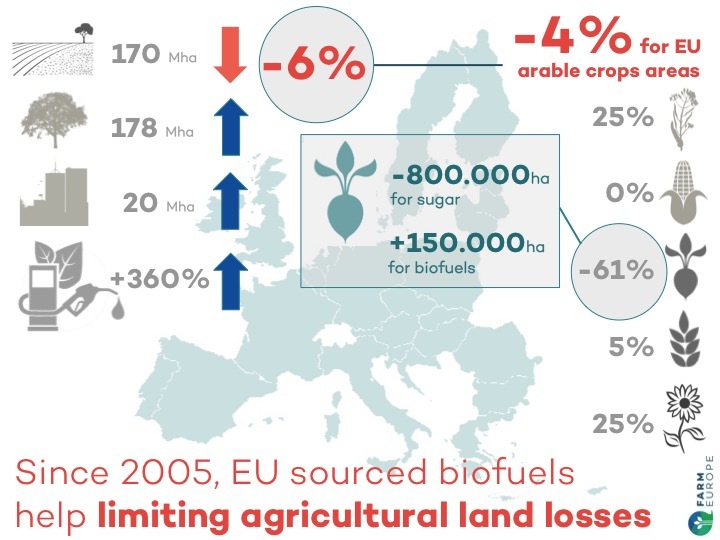 The report analyses the impact of the development of biofuels in the European Union over the period 2005-2015 on agricultural land, food security and sustainability. It highlights the need for EU decision-makers to promote a fact-based strategic approach when it comes to biofuels and provides evidence on the capacity of EU biofuels to be a lever for both environmental sustainability and economic development in rural areas without any detrimental effects. 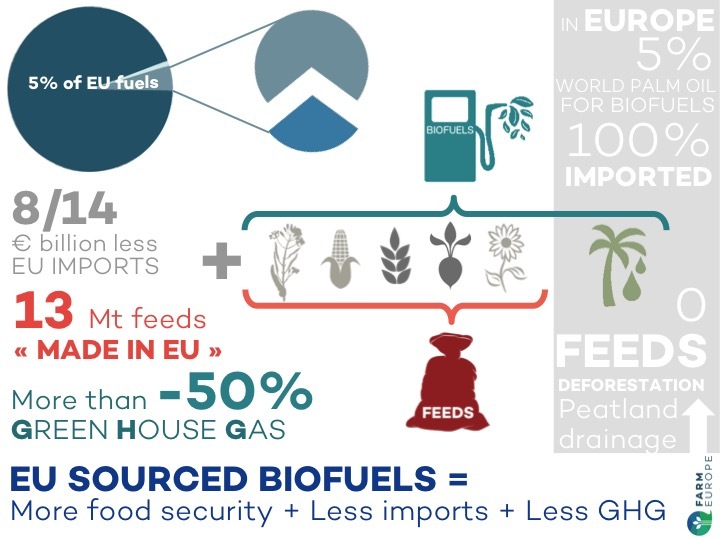 The report shows the need for a clear distinction between first generation EU-sourced biofuels – meaning biofuels made from oilseeds, cereals and sugar beets grown within the European Union – and biofuels made from imported palm oil and “waste oils” or imports from territories with unverifiable sustainability or displacement effects. If, on one side, biofuels made from imported palm oil have highly damaging impacts on the climate and environment (including new demand for palm driving peatland drainage and deforestation), on the other side, EU-sourced biofuels have clearly positive climate, environmental and economic impacts, and are shown to have no adverse displacement effects. This distinction between the displacement effects – or indirect land use change effects – of the differing types of biofuels needs to be properly applied to both conventional and advanced biofuels in order to build a coherent and ambitious EU policy framework. generated demand for farm output of 30 million tonnes per year, secure farm income of 5-7 billion euros, tens of billions of biorefinery investments in rural regions and 300.000 jobs. address effectively palm oil biofuels and imported UCO (waste oil) biofuels with coherent political actions. 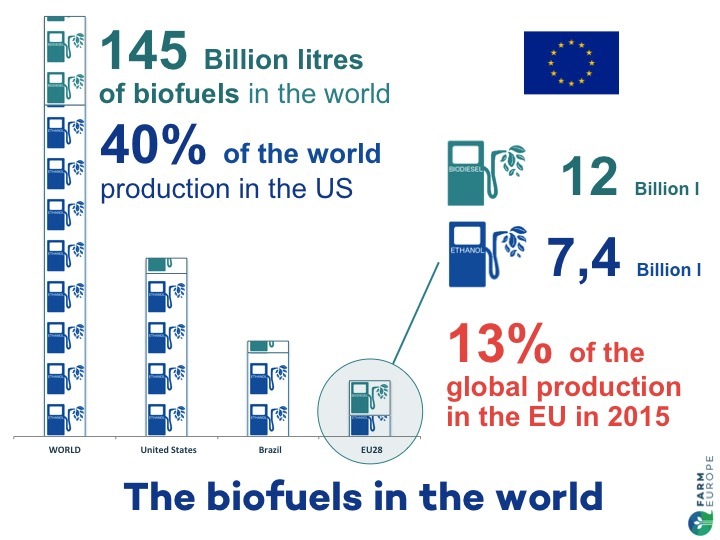 On this basis, a sustainable development of EU-sourced conventional biofuels is an opportunity for both transport decarbonisation and the resilience of the EU agri-food sector.